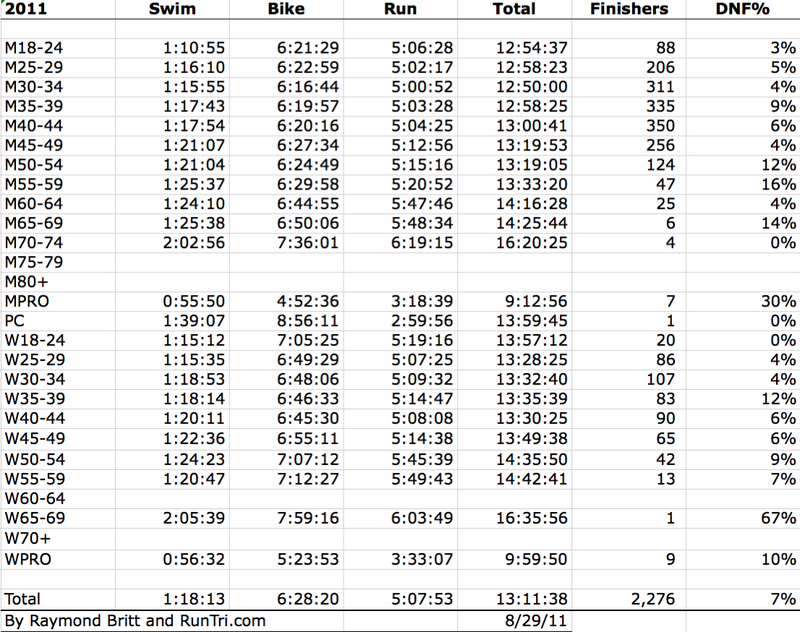 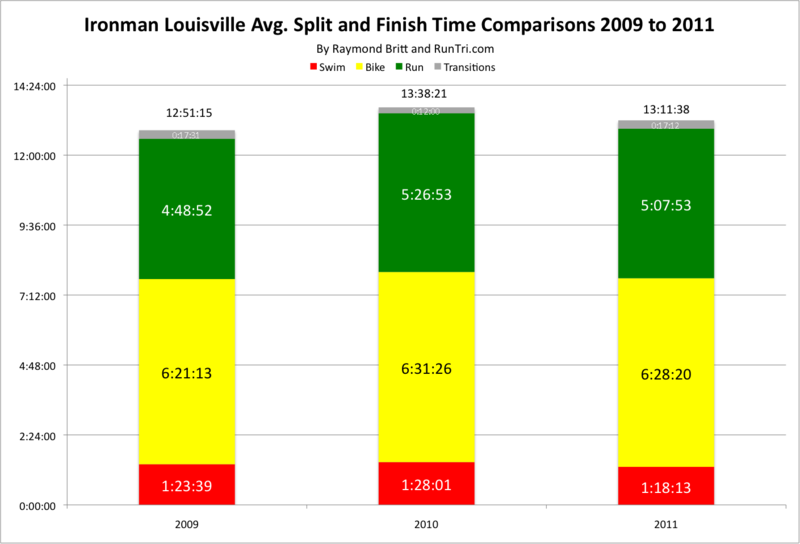 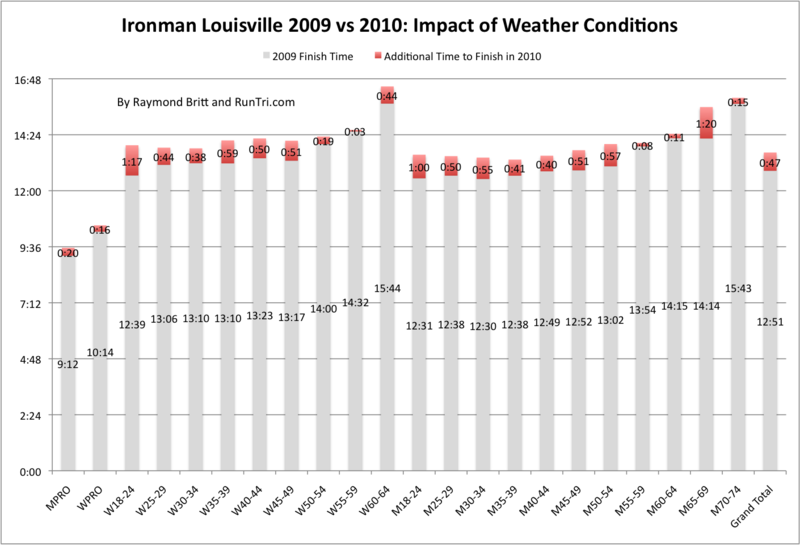 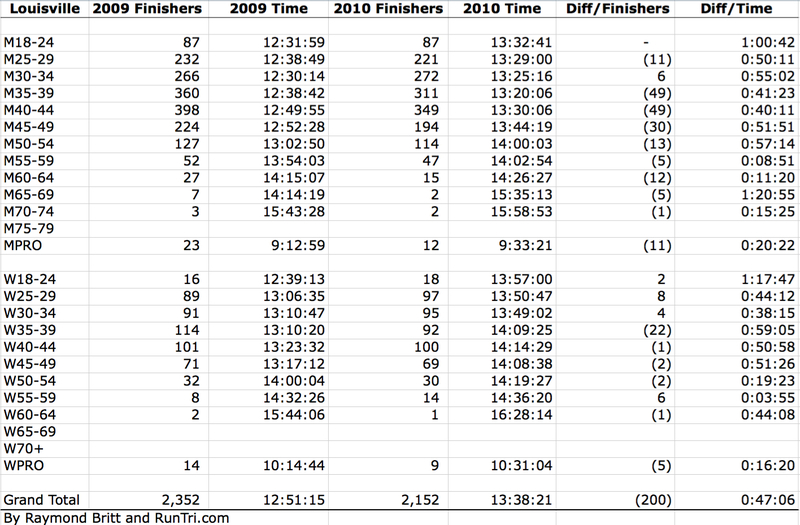 See our complete 2012 Ironman Louisville Results Analysis. 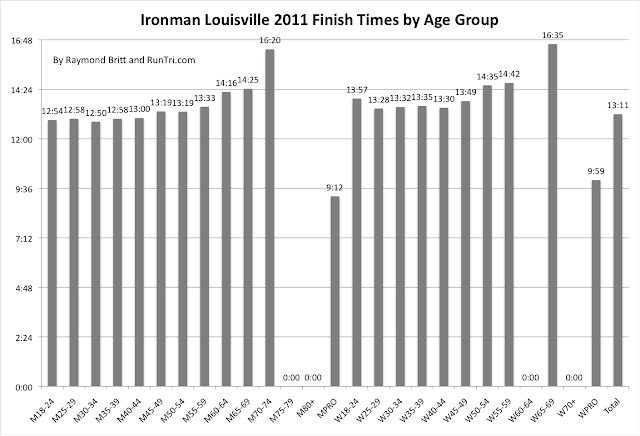 It was the toughest Ironman race in Louisville's ever had. 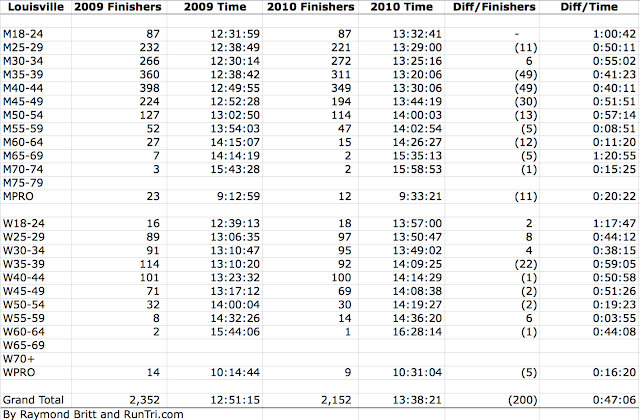 We've sliced and diced the race results to compile the average splits, finish times, finishers and DNFs by age group.